The Latin American Children’s Fund (LACF) was started in 1988 by Florence Mediate, a Pittsburgh-area resident who was born in El Salvador. 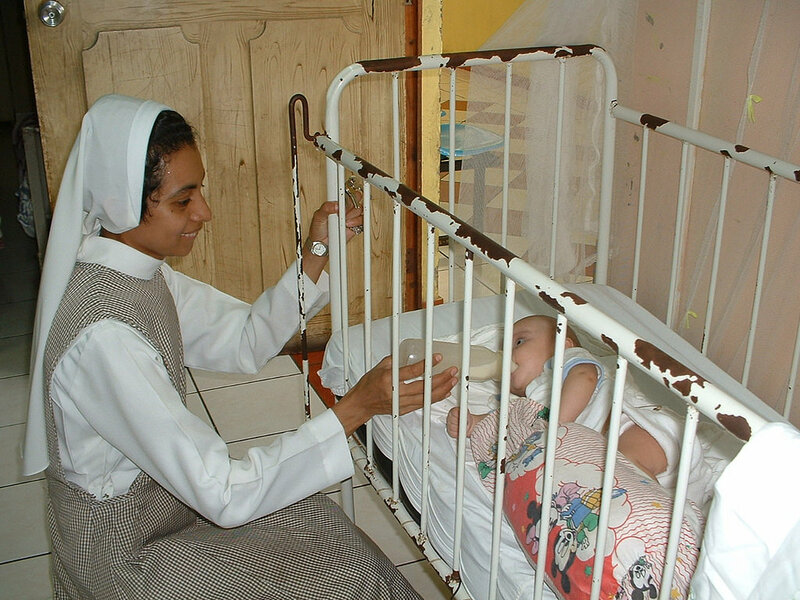 While visiting relatives in her native country, she toured an orphanage and was horrified at the conditions she saw. Children had only the clothes on their backs, there were no sheets or blankets on the beds, and the little ones had no toys to play with. Florence returned to Pennsylvania, but the memories of those children stayed with her. She shared what she had seen with friends and they helped her start the Latin American Children’s Fund. She began to collect toys, clothing, linens, sewing machines, and medical supplies. Through friends and relatives in El Salvador, she found ways to efficiently get those items delivered directly to those in need. 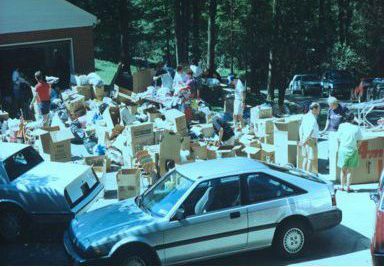 Boxes of donated items for orphanages in El Salvador, 1990. 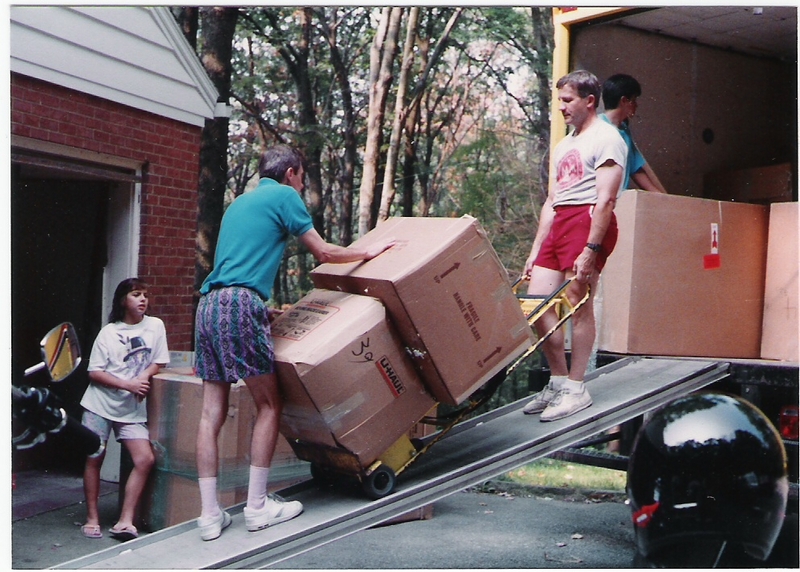 Board member Anthony Mediate moving boxes of supplies onto a truck, 1990. While our goals remain the same as in 1988, our methods of helping children in orphanages have changed. As it became more difficult to secure donated air freight and shipping to El Salvador, we curtailed the collection of used toys and clothing. Moreover, in a country where so many are underemployed, spending money locally helps those who have little as well as those who have nothing. So today, our primary focus is on collecting money and spending it wisely in the local economy of El Salvador, Guatemala, and other Central American countries. For example, instead of delivering used blankets to children forced to sleep under leaky roofs, we find a local contractor who can fix the leaks, and then provide money to buy new blankets. 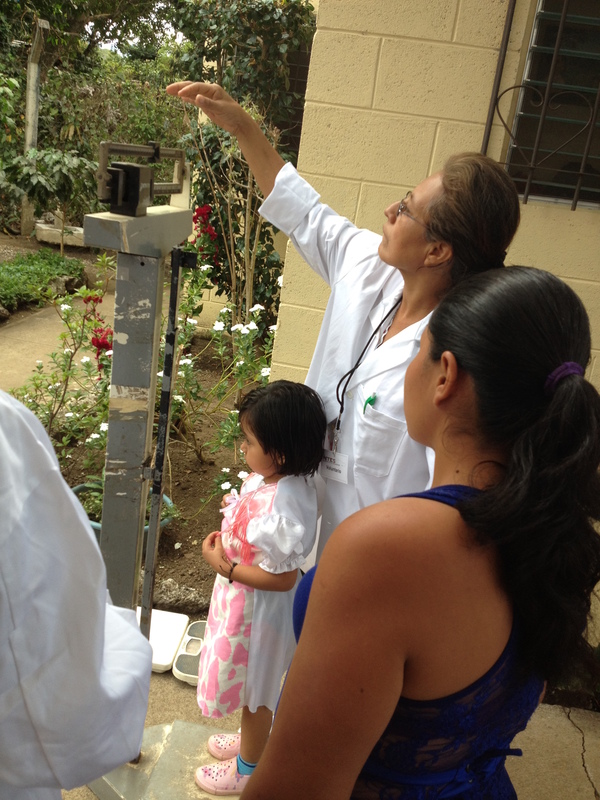 We currently work through two organizations that have staff in country — Mission to El Salvador; and Seeds of Help. 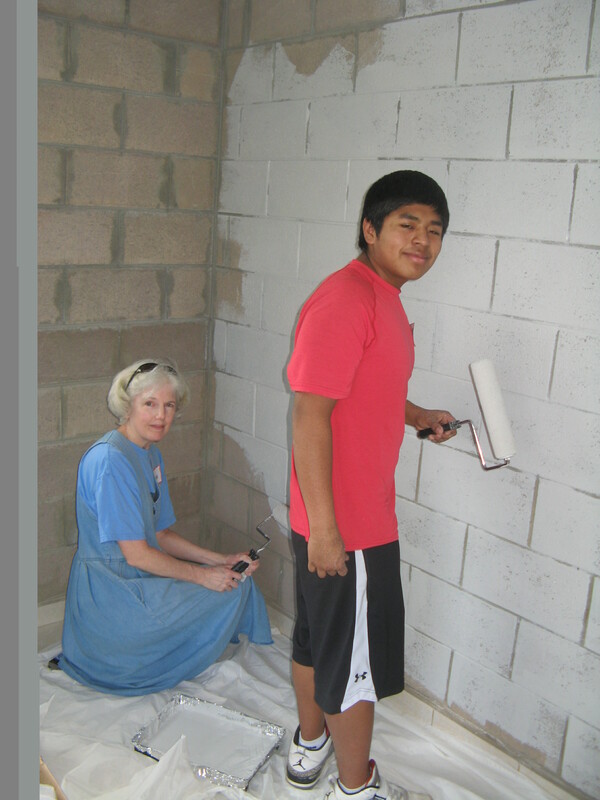 Luciana Llort, long-time friend of LACF, also helps us deliver needed aid in El Salvador. Mission to El Salvador: http://www.missiontoelsalvador.com/ MTES helps run our rural medical clinic in the Santa Ana district in El Salvador. They also serve inner-city poor in San Salvador and do amazing work with street kids and young women rescued from human traffickers. Seeds of Help: http://seedsofhelp.org/ SOH works in remote rural communities in the highlands above Huehuetenango, Guatemala. Their efforts improve education opportunities and water supplies, plus they work to educate and empower women – the central-binding force of the family. Building New Hope: http://buildingnewhope.org/ BNH collaborates with Central Americans to build sustainable livelihoods by linking people and communities with educational and economic opportunities. They have been innovators of fair-trade coffee in Pittsburgh, roasting and marketing coffee from a farmer-owned cooperative in Nicaragua. Head on over to our How you can help page for more information!